The Automated Technology Group thrives on providing your business with precision and control. Our experienced software engineers install intelligent systems to monitor and manage the performance of your business. Using packages such as MS Visual Studio and Database SQL, we apply proven templates or ground-up design to discover the best solution, depending on your requirements and facilities. Our structured, personalised SCADA and MIS systems can be delivered in their own right, or as part of a larger turnkey customer solution, to monitor your enterprise’s functioning and productivity. This means absolute clarity for everyone, from your operators to the executive board. Our experience in SCADA library integration, on-site communication tools, server-client systems and M2M data logging allows us to offer the best solution to suit your business. 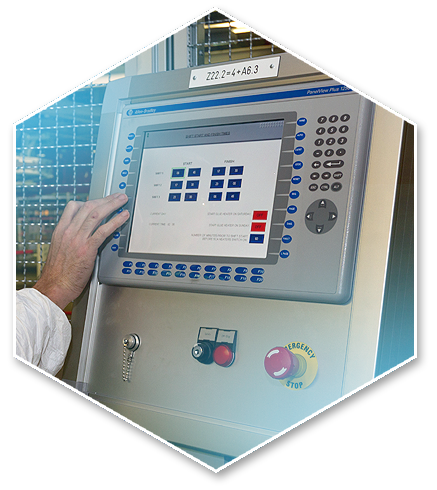 If your business needs a control system, SCADA system or MIS system, we can provide them separately. Or, if it would benefit from all three, we can do that too.